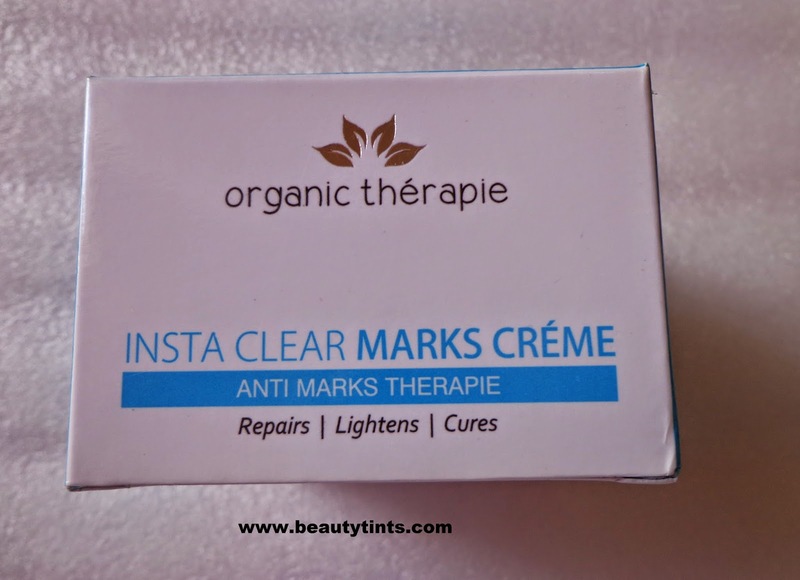 Today I am reviewing one more product from Organic Therapie Which is the Insta Clear Marks Cream.It comes with SPF 18 and PA++. Packaging : It comes in a cute little tub with a screw cap with in a white and blue colored carton similar to other products in insta clear marks range. 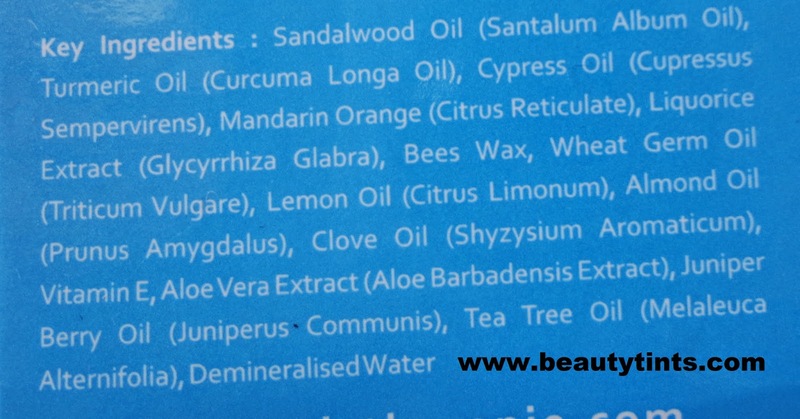 What the Product Claims :This soothing oil-free cream is an extremely effective formula to clear acne & fade acne scars. It is blessed with natural healing ingredients to soothe redness, itchiness & irritation. It takes off excess oil & heals bacterial infections to give you acne-free, smooth skin. 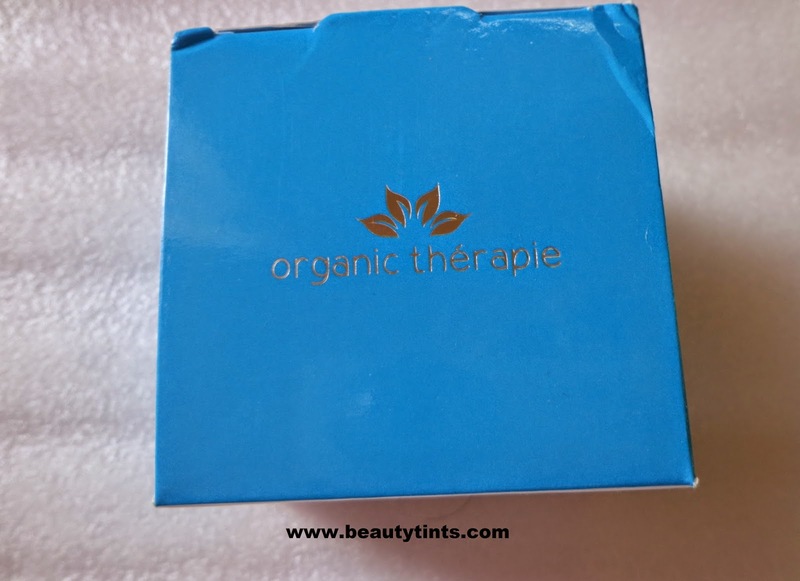 For best results, also use, 'Organic Therapie Insta Clear Acne Mask'. It is Noncomedogenic and Detoxifies and Heals. 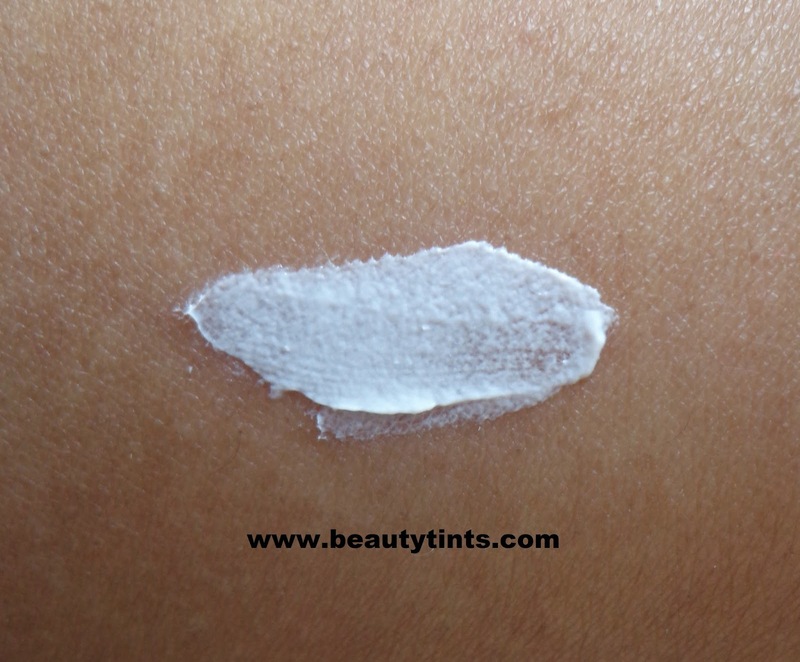 Usage : Apply suitable quantity in soft circular motion and leave it on all day. Key Ingredients : Sandalwood oil,Turmeric oil,Cypress oil,Mandarin Orange,Liquorice Extract,Bees wax,Wheat Germ oil,Lemon oil,Almond oil,Clove oil,Vitamin E,Aloevera Extract,Juniper Berry Oil,Tea Tree oil,Demineralized water. 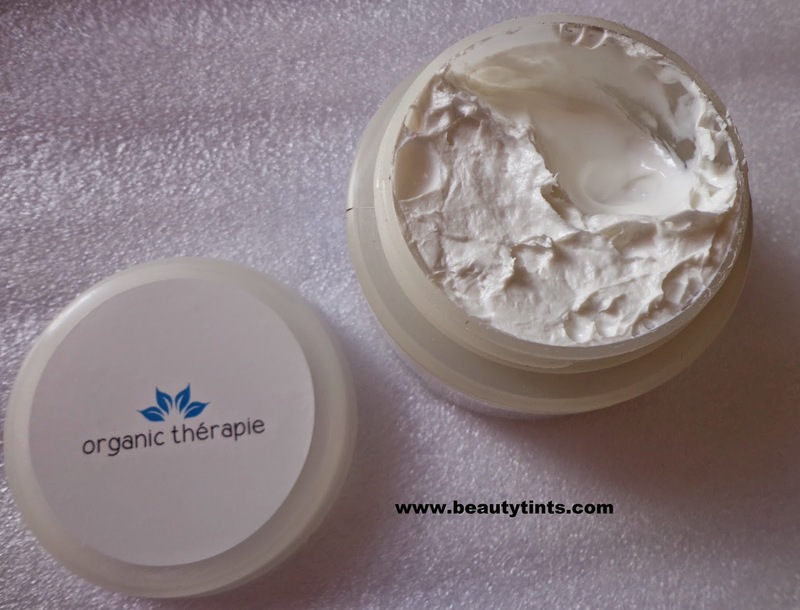 My View On Organic Therapie Insta Marks cream: I am using this cream from past 2 weeks daily in the morning.It is a thick cream which needs a bit of massaging to get absorbed.It has a dominant and unique smell,which I am unable to compare.It is meant especially for dry skin,but it suits combination skin also.It is a thick cream but it sinks completely into the skin with out feeling heavy or greasy and it hydrates the skin well.It can be worn as a base for the makeup.It comes with SPF 18 and PA++. It is enriched with the goodness of Sandalwood oil,Turmeric oil,Tea tree oil,clove oil,lemon oil,almond oil,juniper oil,cypress oil,wheat germ oil and many more.On the pack,it is written as it can be used even in the night time, but as it contains SPF ,I am not using it in the night time.It is yet to show the result as I am using it from only past 2 weeks. can see a bit of improvement in my skin texture.My skin is more smoother now.It may help in reducing the blemishes on continuous usage for some more time.Very little amount is needed everytime and one tub will lasts for more than 1 month. 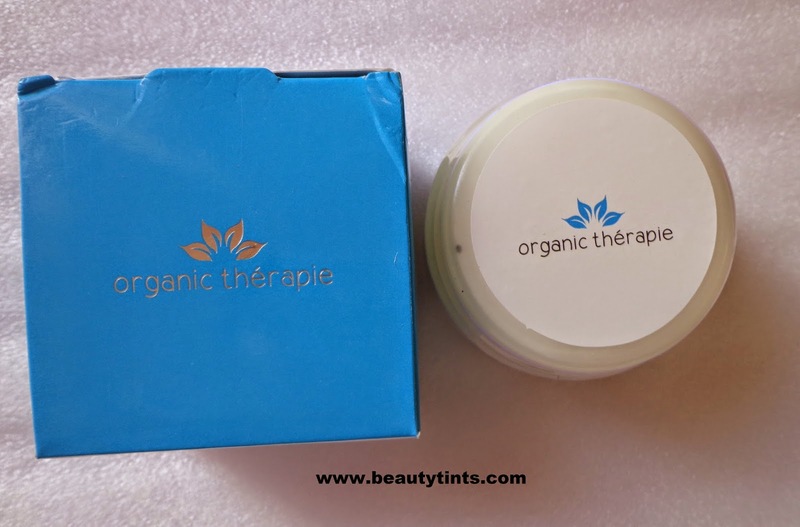 Last 3 days to participate in the Organic Therapie Giveaway...Participate here.